Round neck jumper by LOOXENT with long sleeves. Sporty and cool. 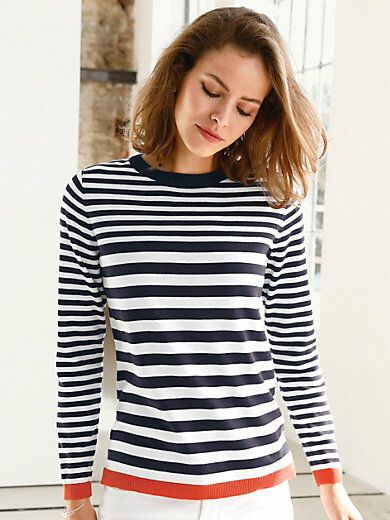 Fine summery knit with stripes. Cuffs and hem in bright orange. 55% cotton, 45% viscose. Length approx. 25ins. The round neck jumper is machine washable.